If you thought that reputation management was just for companies, perhaps you should think again. Google searches cover more than one billion names on a daily basis and these are more than just vanity or celebrity searches. In fact, over 77 percent of companies require HR personnel to run an online search on all potential employees before calling them in for an interview. Have you applied for a job recently? If so, your name probably figured amongst those one billion searches, and if the search engine result pages are turning up regrettable posts and embarrassing photos from your college days, well, let’s just say you’re unlikely to rank high on the shortlist of potential candidates. Even years later with a solid career behind you, this kind of content will be a drawback and is still likely to rank prominently for your name search. On the other hand, padding your resume can be just as dangerous. If the CV you presented doesn’t match the facts, your employer is likely to find out with a basic background check. Internet bios embellished to create a fabricated career will do more harm than good. Even if you update them later, there will still be an archived record that doesn’t match up. It’s expected that you’ll present yourself in a confident, positive way, but don’t claim credentials or experience you don’t actually have. Some surprisingly high-profile individuals have gotten into trouble in this way, such as the former CEO of Yahoo who was fired in 2012 for spinning a simple accounting degree into a double concentration in computer science. 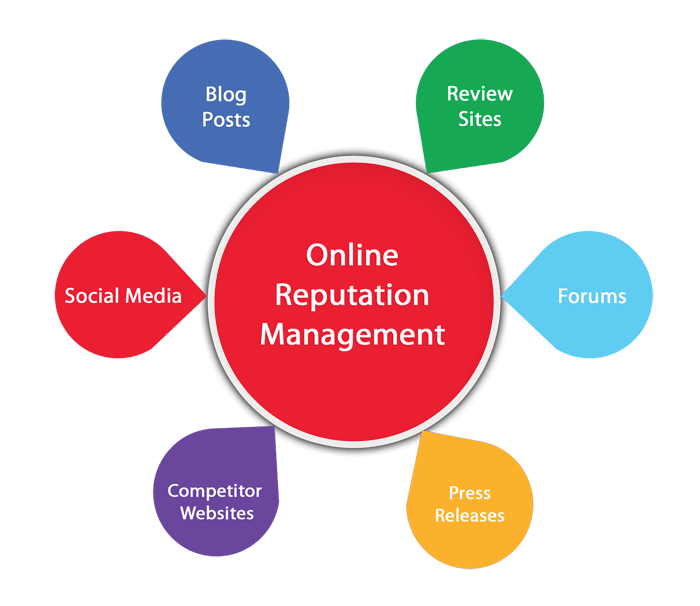 Online reputation management(ORM) for the individual starts with a personal search to find out what’s out there. The truth is, most of us have already tried this type of vanity search, but run it again carefully,ensuring that you’re signed out of Google to avoid getting a personalized set of results. Search your full professional name, including any variations or misspellings you think an employer might use. Rate each of the items on the page you pull up according to the following categories. Irrelevant – These are results about you, but which lack any bearing on your present career. Not you – These are results about someone else with a similar name. Negative – These are undesirable results. This could be an embarrassing photo, an ill-advised post, or an inflated resume you posted right out of college. It only takes one compromising result on the first page of the search to cast you in a negative light for potential employers. Positive – These are results that confirm your education and authority in your present field. This can include professional social media profiles, blogs, or news articles that mention you. This kind of search result doesn’t usually appear unless you’ve already put in some form of proactiveORM work. If some or all of your search results fall into any of the first three categories, it could limit your career, especially when it comes to landing a high profile job. The good news is that you can concentrate on the first page, and even more specifically, on the top five results of that page. A 2014 study by Advanced Web Ranking found that 67.6 percent of hits go to positions 1 to 5, while only 3.73 percent move down the page to look at results 6 to 10, unless, of course, there’s a glaring scandal headlined in result 8 – which could very easily demand a potential employer’s attention. So how do you get those positive career-focused pieces to really pop on your page one search, as opposed to the typical drivel that includes your personal Facebook account, that essay contest you won at age fifteen, and several profiles of people you’ve never met? Step one: you’ll need to write and publish professional content about yourself. Step two: you’ll need to get Google to rank this content high in the search results for your name. Counteract personal social media activity with professional profiles – Social media is no longer just about connecting with friends. Treat your name like a brand and present it with professional profiles on a range of sites such as Google+, LinkedIn, Xing, and Visual CV. Hide your personal activity – You don’t want employers to find your latest online rant or gossip post. Ideally, you won’t put this type of content on the internet because there will always be a record. In the real world, however, most people share some type of unprofessional content, so make sure your privacy settings are restricted to friends only. If you post a lot on Facebook, try adding a separate professional account that targets your full name as a keyword. Write a professional profile and post on industry-related topics. Meanwhile, hide your private profile under a nickname or an alias that an employer wouldn’t know. That way it won’t appear on a job-related search. Remove negative content – If your search pulls up negative results, you can try to get this content removed, but success is usually mixed. If you can’t prove a copyright violation, sometimes contacting the person or the website owner directly and asking them to delete a post can be effective. Many people share negative images thoughtlessly rather than out of malice. However, if a post has been shared across multiple sites you’ll need to issue a separate request for each site. This can be difficult and time-consuming. In the vast majority of cases, negative results cannot be removed, in which case you’ll just have to work harder on burying them with your own positive content. Write a blog – Professional blogging is where you’ll start to expand your profile. If an employer can see you taking an independent interest in issues related to your career, this will give you major bonus points. Share these articles on your professional social media profiles and encourage others to share them also. Make sure you target your full name as a keyword and in the URL for your blog. This will give your content more authority and help it to rank high on a search for your name. Multimedia content – Professional images will give an employer a face to put with your name. Google will pull up a variety of content that includes both images and videos on the first page. You’ll want to target this spot with career-based content. It’s best to focus on one image that you feel represents your professional persona. To create the maximum impact on your search results, ensure to label your pictures with your full name. Then share it across your blogs and social media pages to encourage it to rank on searches. Do the same with professional YouTube videos. Videos and images take up a lot of space on a search page, so this can help to push negative or irrelevant results off the first page.